Not only was it the first time that a satellite made by an Indian student was launched into space, it was the first time a 3-D printed satellite was tested in space by NASA. 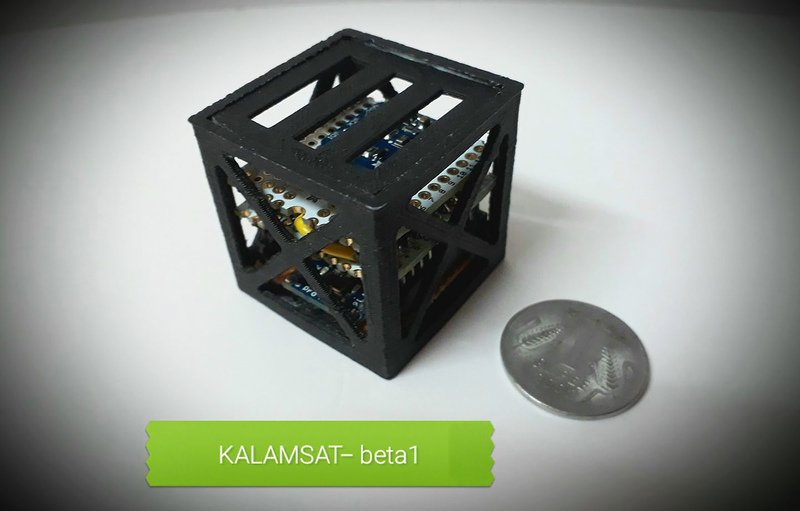 The KalamSat, a 64-gram, 3D printed satellite, named after former Indian President and nuclear scientist, Dr. APJ Abdul Kalam was the brainchild of Indian teenager Rifath Sharook and his group of six teammates from Tamil Nadu’s Pallapatti town. The satellite, which took Sharook and his team over two years and approximately one lakh rupees to make was one of the 80 models selected from among 86,000 submissions in the “Cubes in Space” contest. The contest was co-organised by NASA and a global education company called I Doodle Learning. Back home, Space Kidz India, a Chennai based organization dedicated to designing innovative concepts for students in the field of education, supervised and aided Sharook and his team. What is KalamSat’s main purpose? KalamSat stayed in space for 12 minutes before falling into the sea. NASA will collect the satellite and send it to Sharook and his team so that they can record the data KalamSat documented in space. On Saturday, June 24th, Sharook and his team were awarded 10 lakh rupees by the Tamil Nadu government as a token of appreciation.